Byrd's Auto Service in Raleigh, NC can perform the maintenance and repairs necessary for you to stay comfortable and confident in your Infiniti. Infiniti has found a unique way of combining performance, styling and luxury into a package that doesn't compromise reliability. With many models riding on platforms that are also under many Nissan vehicles, the relationship between Nissan and Infiniti remains strong. Infiniti vehicles embrace bold styling and supple, comfortable interiors that give their owners comfort and confidence. At Byrd's Auto Service, located in Raleigh, NC, 27610, our staff technicians combine knowledge and experience in order to quickly and accurately diagnose and repair your Infiniti luxury vehicle. Our staff will deal with even the smallest issues, whether they are interior, exterior or under-the-hood problems. 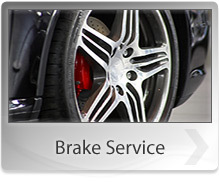 If you want your Infiniti to be in good hands, be sure to bring it to Byrd's Auto Service. You can schedule an appointment today. Bringing your Infiniti to us, Byrd's Auto Service, means you will be back on the road before you know it, with your car repaired and fluids topped off. Our staff at Byrd's Auto Service prides itself on courteous and friendly customer service. We are waiting to service all your Infiniti needs. 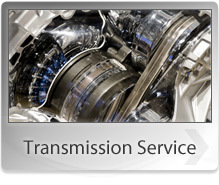 You can call us at 919-779-2689 to schedule an appointment, or stop by our service center. Our friendly staff is waiting.